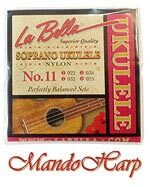 White Nylon Soprano Ukulele strings. From La Bella. Made in the USA. 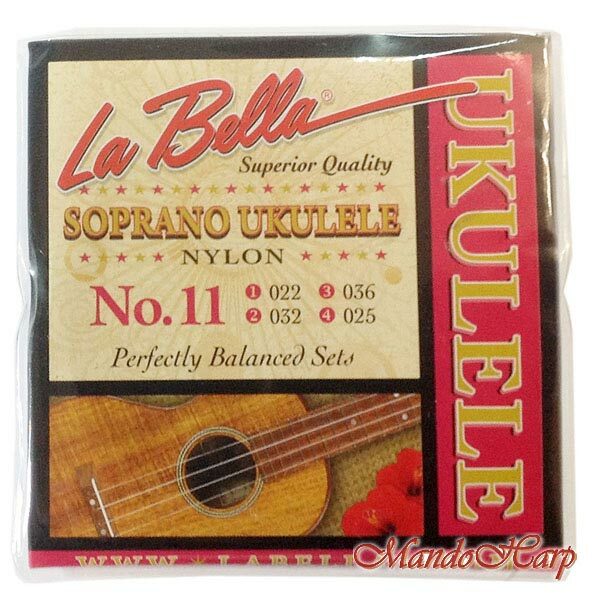 String 1 - white nylon 0.022"
String 2 - white nylon 0.032"
String 3 - white nylon 0.036"
String 4 - white nylon 0.025"
La Bella's four step manufacturing process has been lab tested and approved. 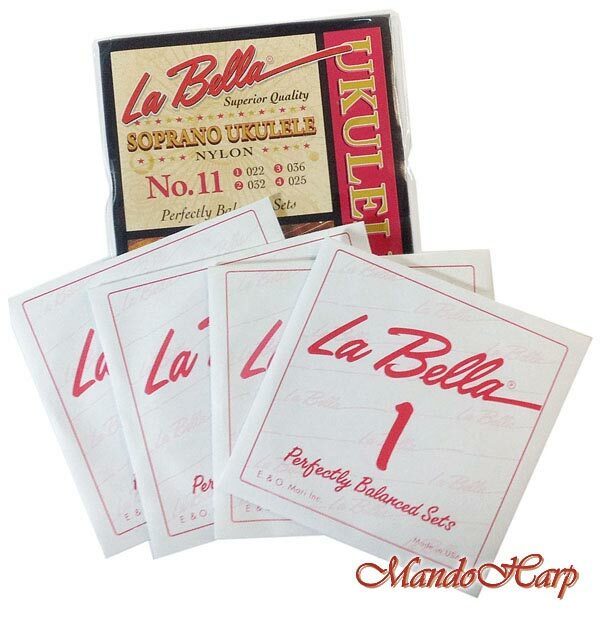 This process will guarantee vibrant, aesthetically pleasing strings with longevity second to none. String gauges: 0.022", 0.032", 0.036", 0.025"